I left Forest Hills and made my way to Logan Airport to return my rental car. I took the MBTA back into town. I stopped at the State House first. It is one of the stops along the Boston Freedom Trail. 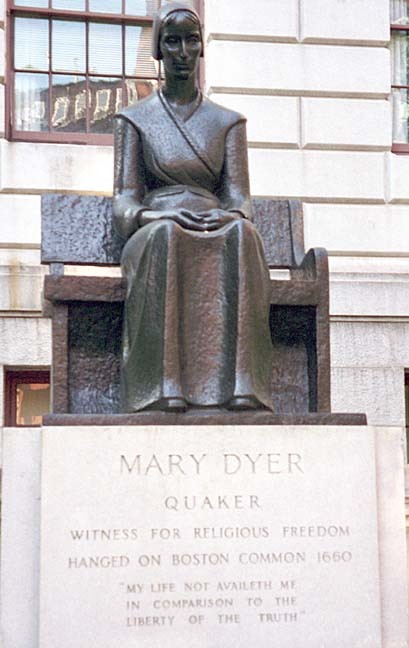 This statue of Mary Dyer is in front of the right wing of the State House. If there is a reason to oppose the death penalty, Mary Dyer's case is good example. She wanted to live her Quaker faith in Puritan Boston and for this was twice banished. When she returned yet again, she was hanged in Boston Common. 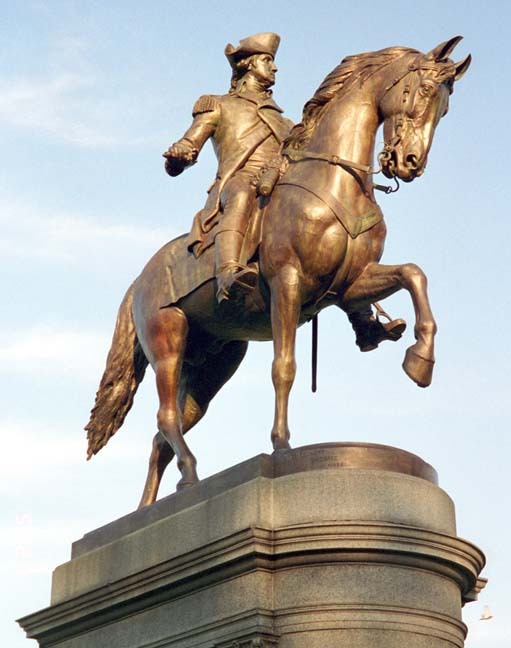 This equestrian statue of Washington is in the Boston Public Garden. A photo of this same statue is in Alice Hodgman's 1904 Souvenir of Our Trip to Boston. 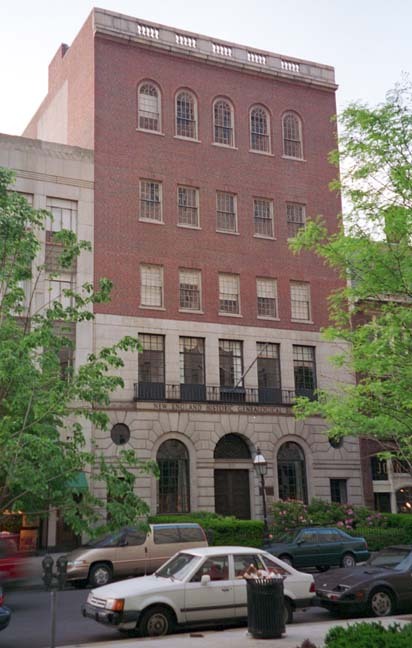 This is the NEHGS at 100 Newbury Street. I spent the next five days here, researching family history and genealogy.